If you have a Keurig and go through K-Cups like me, here is a fun way to recycle! 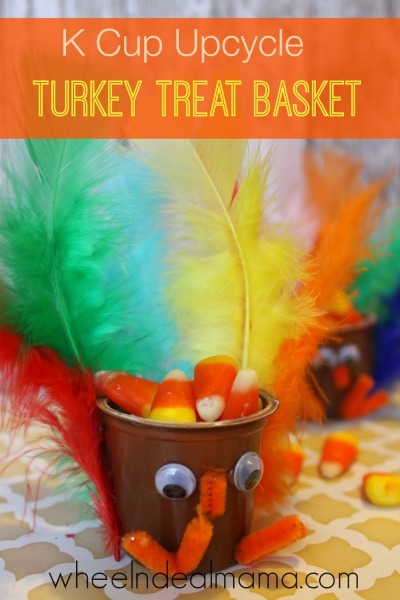 Be kind to the earth by up-cycling your k cups after the coffee is gone and dress up the Thanksgiving kids table at the same time with these fun turkey treat baskets. 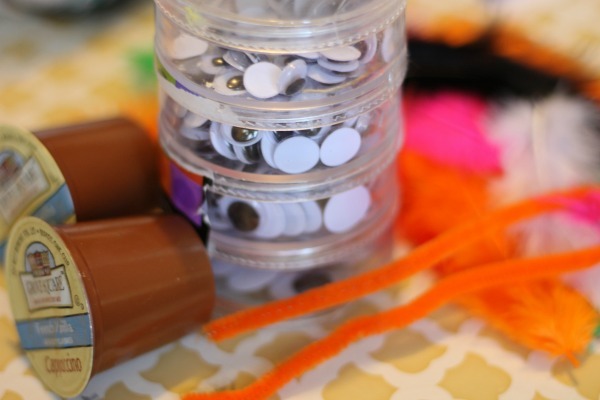 A fun and cute craft that is free is priceless. Add them to your kiddie table, or set them on the buffet for small snack items like- candy corn, pretzels, popcorn, mm’s, peanuts, or any small treat you like. If you don’t guzzle down a dozen cups a day and need a lot just ask friends, family, and neighbors to keep theirs for you-they are usually more than happy to help and k cups are infinitely more interesting the the toilet paper rolls we used to beg for. Attach 4-5 feathers on the back of your k cup with hot glue- take care not to touch cup with metal tip of glue gun as the heat will quickly melt the plastic. 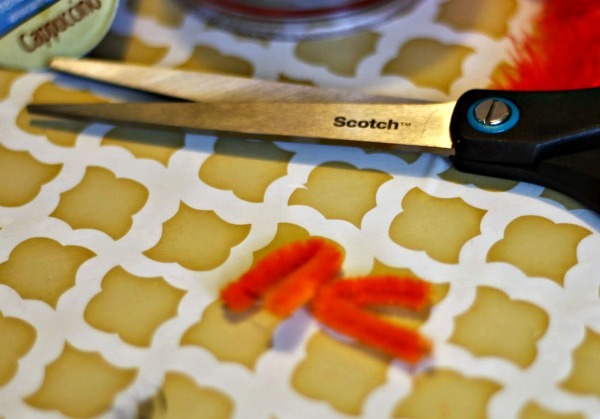 Cut 2-1″ lengths of orange pipe cleaner, bend in half like a “V” and attach to the front for feet. Glue on googly eyes, and a small piece of orange stem for a beak. Fill treat basket with small candies or other items. Have fun!! I am sure these will be a hit with the kiddos! !